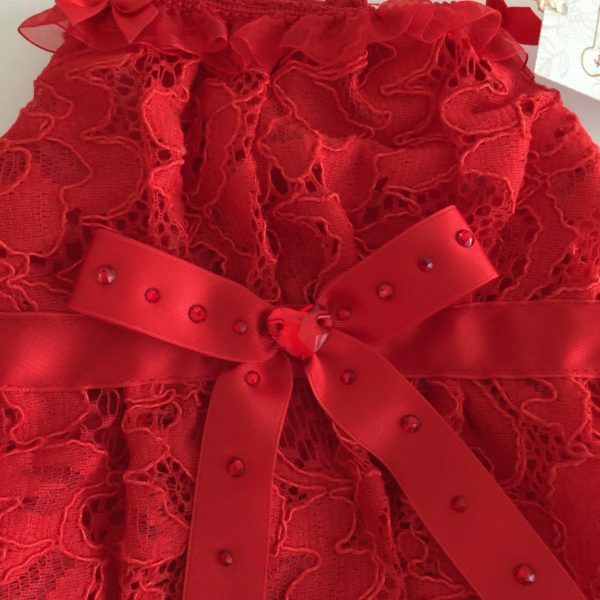 Lovely red dress for that Christmas party. 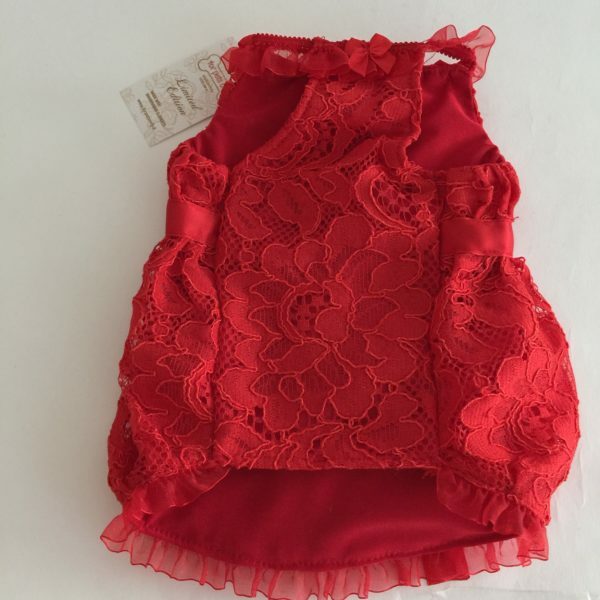 Your little princess will look adorable wearing this lace and tulle dress. 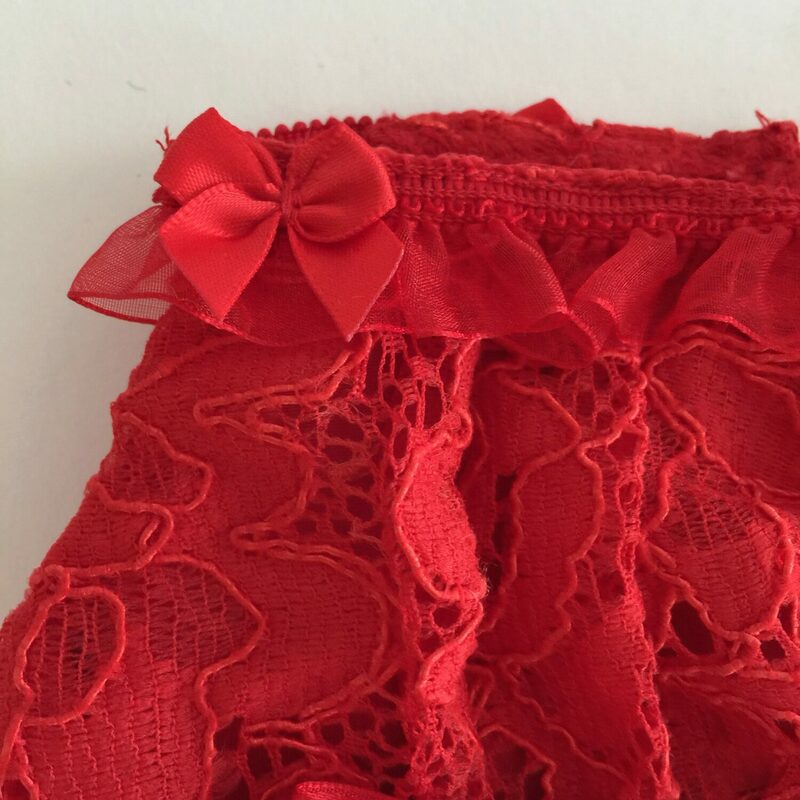 A pretty red bow sparkling with Swarovski crystals at the waist. Two small bows at the shoulder.